Charles Hamer (seated) with Donna Little of CDS. CHARLES Hamer is a great example of dedication and resilience. From having no job, living in shared accommodation and no license, the CDS client is now ticking all the boxes and it is not only because of his drive but the tremendous support from his carers. “I have some great people in my life who have helped me get to where I am today,” said Charles. “From Donna and Jodie through to direct carers such as Ian, Rodney and Martin – they have all played a part. “I am now in my first month at McDonalds, living independently and have a full license,” he said. Charles also credits his new found happiness to the implementation of the National Disability Insurance Scheme (NDIS) in the Central West stating that the new model is one of the big reasons he is in the position he is in today. 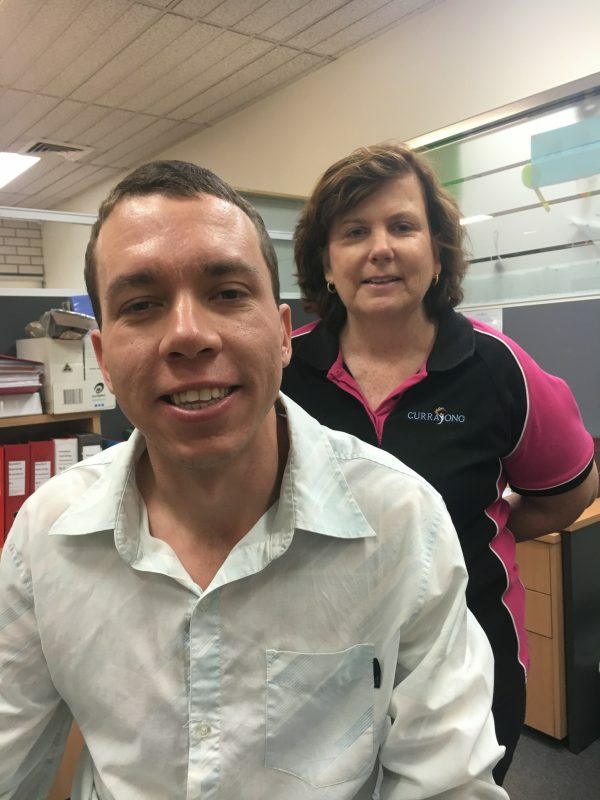 “The NDIS allows me to choose what I want to do, when, how and who with,” he said. “Currajong has been extremely helpful and supportive. “I have really turned a corner and am now planning ahead with confidence,” he said. Despite all the positive news Charles remains focused and grounded. “I just take one day at a time and keep doing the best that I can,” he said. “That mindset has brought me this far.